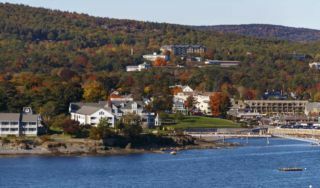 Most visitors simply enjoy the views of Fall in Bar Harbor and Acadia National Park as they drive through it—seeing the incredible color of trees and shrubs of different species, each a different color—some red, some yellow, some bittersweet orange, or mahogany. 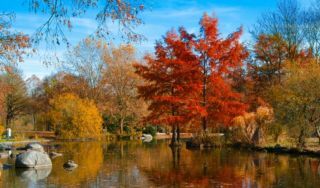 The ocean helps keep us warmer in the fall—our first killing frost is usually after October 20th and sometimes after November 1st. After that happens, we get what I call the “afterglow”. 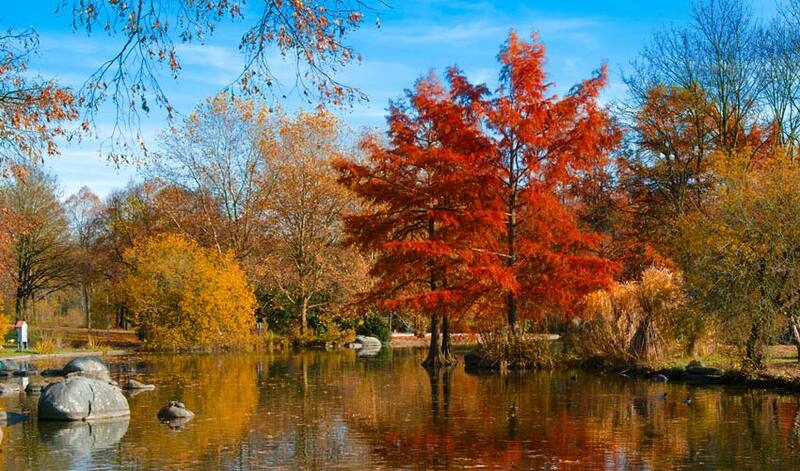 The fallen leaves expose the smaller shrubs on the forest floor, all of which add their unique colors to the show and the red oaks come to the forefront with their burgundy colors along the roadsides. We hope you will take time to meander; smell the salt air; hear the birds; delight in the mini-gardens blooming in every cliff cavity; touch the pink, wave-rounded granite boulders on beaches (where these “grains of sand” are as large as a bowling ball); stroll on arctic mosses and inhale the incredibly complex aromas of the spruce-fir forest; explore the sea gardens in tide pools; picnic on a sun-warmed pink granite ledge surrounded by wild Maine blueberries, roses or other seasonal riches—always serenaded by the white throated sparrow, gulls, or chickadees. Perhaps you will savor the enrichment of all your senses when the sea fogs alter the whole visual scene; or perhaps you’ll experience angry pounding surf; perhaps you’d like to take your breakfast to the shore for an early morning sunrise. WARNING: Your Acadia Rendezvous may be addicting. 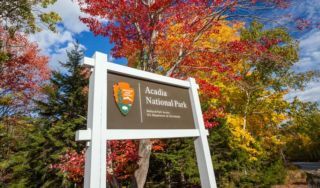 Many of us who live here are confirmed Acadia addicts, causing great feeling of peace and joy and contentment and requiring frequent returns to our special places in the jewel of America’s National Parks—The Place—Acadia. 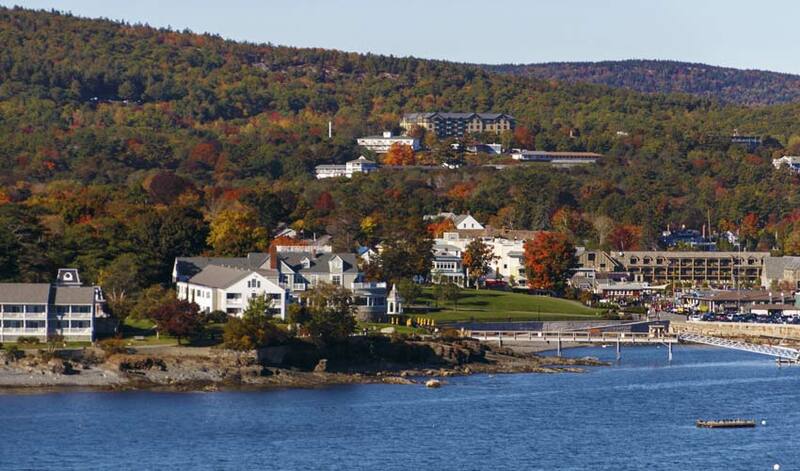 Be sure to also visit our Blog to read more about wonderful Fall in Bar Harbor Activities.